Casper, creator of mattresses and pillows to help making your sleep more comfortable has now launched a special little bed light. The Casper Glow is a smart, wireless bedroom light that subtly wakes you up and gets you to sleep. What can the Casper Glow do? From the looks of it the Glow looks like a simple, minimalist bed light. But there’s more to it. You can control the lighting on the Glow with specific gestures thanks to a built-in gyroscope. For example, turning it upside down will switch the light on. Twisting the Glow will dim or brighten the light. Wiggling it will turn on a soft, dim light for when you want to find your way around in the dark. Then there’s a smart app control. 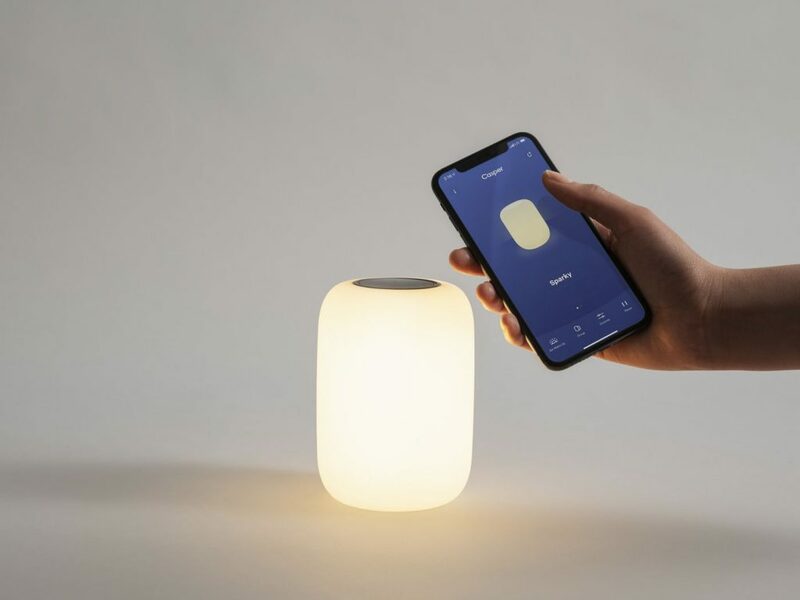 The Casper Glow light app for iOS and Android allows you to pair and synch multiple Glow lights so they’ll all respond to your touch or gestures. You can also set up a sleep and waking schedule in the app allowing for a subtle, warm light fading in and out. This is a subtle and cozy smart light for your bedroom. The portability and wireless charging make it also ideal to take in your suitcase for travelling abroad. The Casper Glow is available now for about ninety bucks. You can buy it on the official Casper website via the link below.